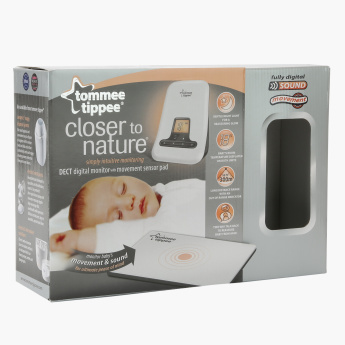 Tommee Tippee Digital Monitor with Sensor Pad | White | Helps to monitor baby when you're not around. Get this digital monitor and sensor pad to take care of your baby when you are not around. 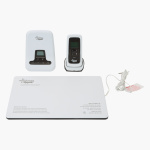 It helps in reaching out to your baby by transferring your voice for baby's reassurance. It detects the room temperature so that you can adjust the kid's surroundings for a healthy growth. 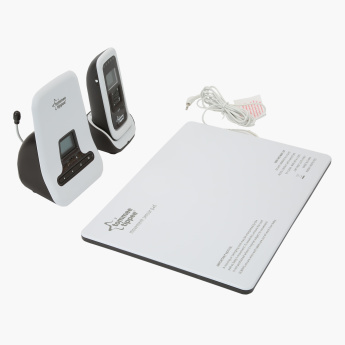 Feature 2 : DECT Technology. No interference. Feature 1 : Helps to monitor baby when you're not around. 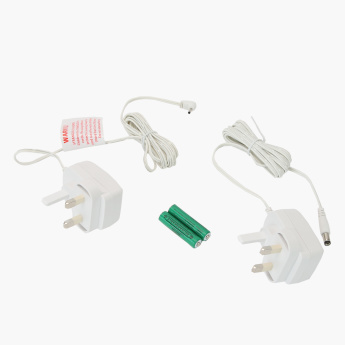 Feature 3 : Remote night light and room temperature display. Night light vision.